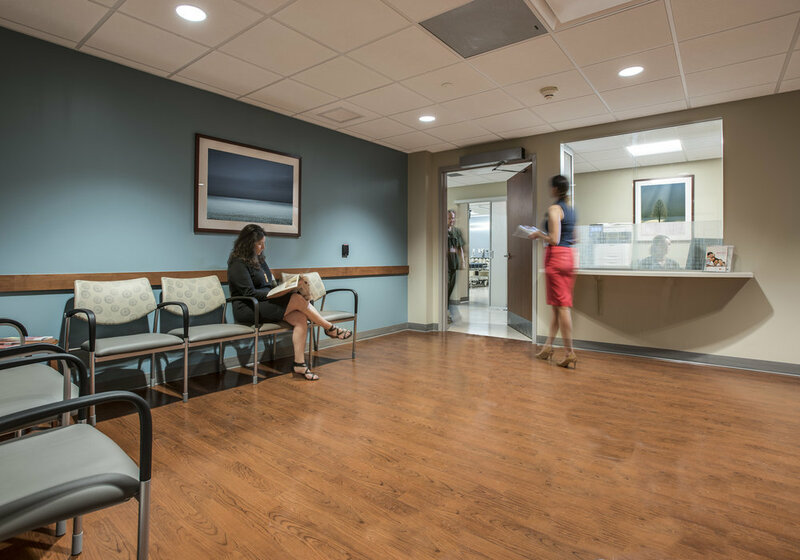 As part of a larger master plan at their Somerset Campus, RWJBH relocated an existing Vascular Suite located on the Second Floor of its facility to a more prominent Lobby Level location, optimizing convenient outpatient flow and closer proximity to the Radiology Department. 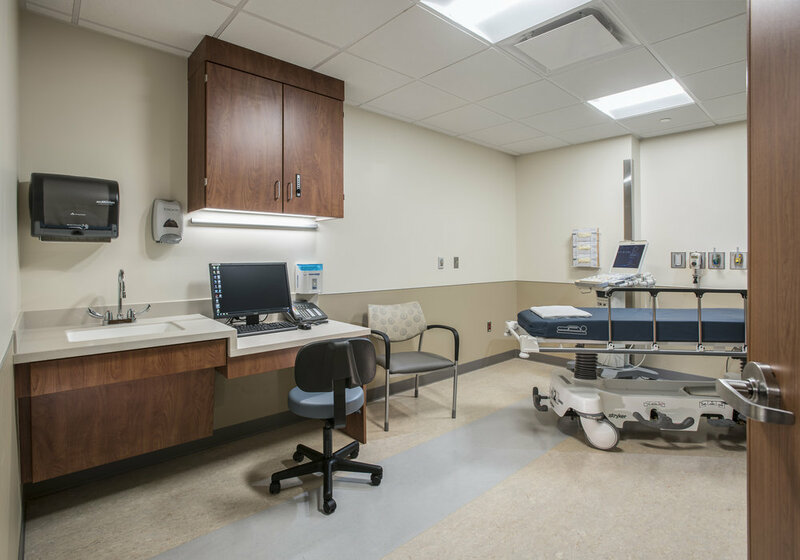 The unit features three (3) Vascular Exam Rooms with in room charting, and three (3) Inpatient Holding Bays, along with ancillary clinical support and a centralized Tech Work station. 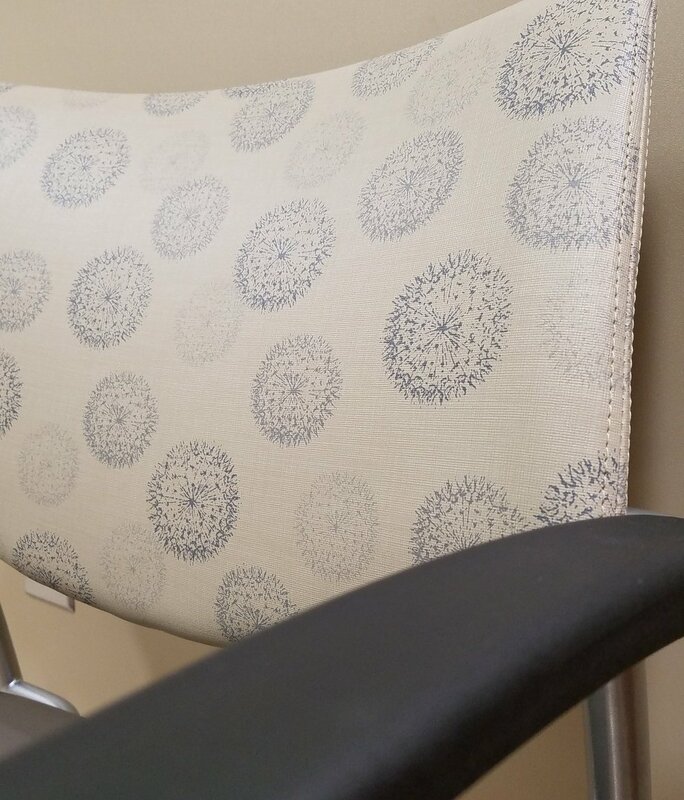 To optimize the outpatient experience, a dedicated Exam Room and path of travel segregated from inpatient traffic was implemented. 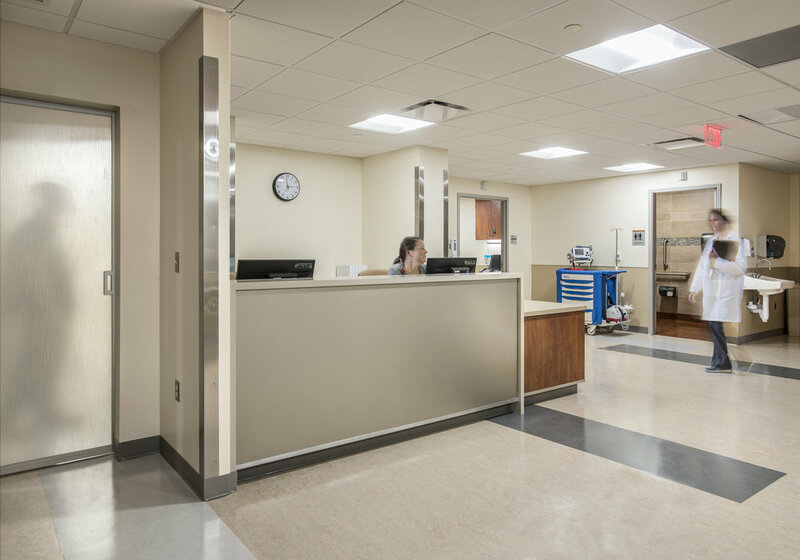 To allow efficient staff accessibility and maintain an open floor plan feel, a translucent 3Form slider was used to block Inpatient Holding bays from outpatient’s during operating hours. 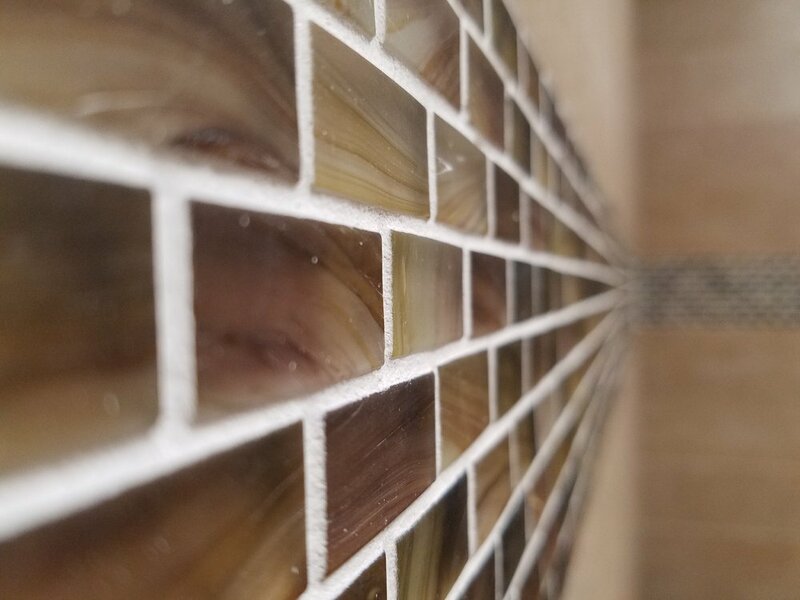 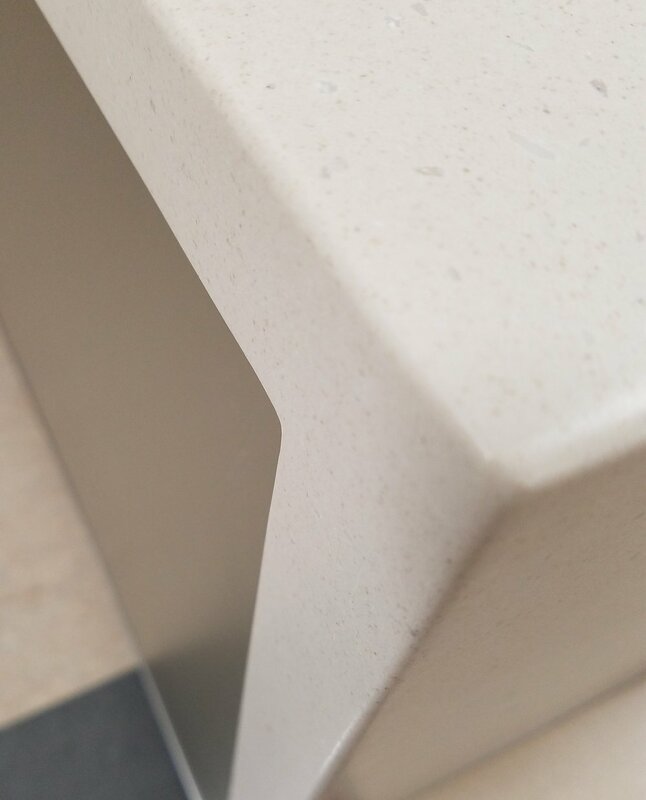 The suite features resilient sheet flooring, high-impact ridged wall sheet through-out and focal lighting at Inpatient Bays that allows the patient to control their lighting level preference.